Project Saving Species funds support the Mbeli Bai study located in the Nouabalé-Ndoki National Park in the Republic of Congo. It is the longest-running field study of western lowland gorillas in the wild. Observations have provided unique insights into the gorilla’s social organization and dynamics. Associated with the study, the Club Ebobo program educates local schoolchildren about wildlife and conservation. In 2010, Primate Team Leader, Ron Evans traveled to Congo to implement a community outreach program. Cincinnati Enquirer journalist Meg Vogel traveled to the Congo with Cincinnati Zoo director Thane Maynard and primate curator Ron Evans to see gorilla field conservation in action. 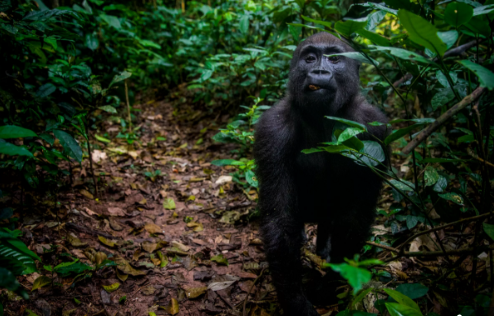 Check out the amazing images and descriptions of what they encountered where gorillas live. As we continue to advance our phone technology, cell phone users rapidly replace their old models with newer ones. What do you do with your old phone? Recycle it with Project Saving Species. By recycling your cell phone, you are reducing the demand for coltan, a mineral used in cell phones that is mined in gorilla habitat. 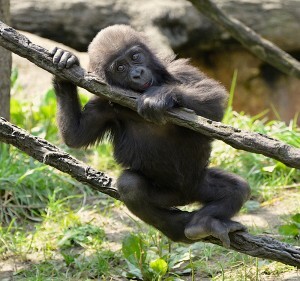 Zoo gorillas play a key role as ambassadors for their wild counterparts. Through their strong appeal with guests, we are able to share information and important conservation messages combined with action steps. 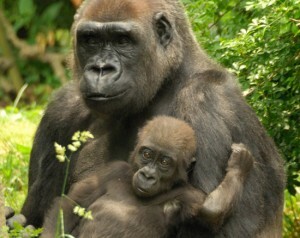 Zoos do not take gorillas from the wild and have not for decades. All gorillas throughout North America are managed cooperatively through the Gorilla Species Survival Plan (SSP). Every two years, the SSP develops a comprehensive master plan by combining data on genetics, individual gorilla personality, institutional input, and many other demographics to ensure we are able to properly managing this flagship species for many years into the future. The Cincinnati Zoo has a long and storied history with western lowland gorillas dating as far back as the 1930s when the Zoo received its first gorilla named Susie. Highlights include the first two gorillas born at the Zoo, Sam and Samantha, just eight days apart in 1970, a record-setting year with six gorilla births in 1995, including Timu, the world’s first gorilla conceived through in vitro fertilization, and of course, the unprecedented story of baby Gladys to whom keepers played surrogate until she was transferred to the care of an experienced mother gorilla in 2013. Strong awareness of gorilla cardiac issues began in November 2006, when a workshop of physicians, veterinarians, pathologists and animal keepers from across the country came together to discuss the cardiac health issues apparent with captive gorillas. To date, heart disease is the #1 cause of mortality in zoo gorillas. As a result of the meeting, the Gorilla Health Project was created, receiving funding and donations to help with preventative research in gorilla cardiac care. 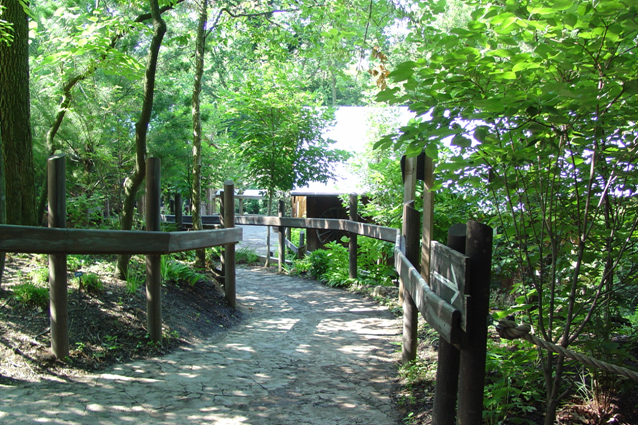 The Zoo is proud to be among the industry leaders taking part in this amazing project. In collaboration with Christ Hospital, cardiac ultrasounds (echocardiograms) have been conducted on several of the Zoo’s gorillas to add data to the growing database that the Gorilla Health Project team maintains.